All over the world massive protests against Monsanto ensue. The 2 Million people that protested against the proliferation of Genetically Modified Foods world-wide were largely ignored by the Media. Studies conducted throughout the European Union have concluded that within 20 years the world will be struggling to feed itself. 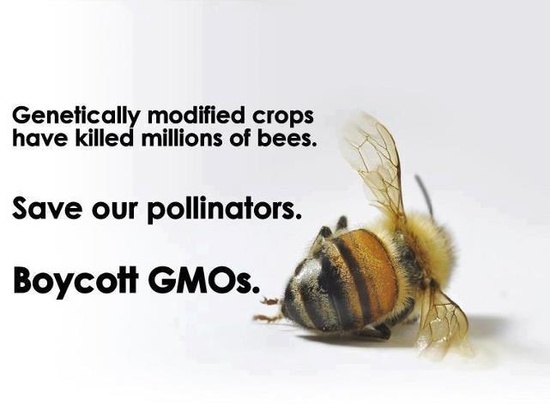 protestors are outraged at President Obama’s continued protection of seed and bio-genetic companies Monsanto and Syngenta, whom they blame for the depletion of the Honey bee due to the proliferation of insecticide infused crops. Protestors call into question the motivation behind American President Obama’s passing Legislation which protects Genetics Companies from Federal Court interference. Section 735 of Bill HR933 makes concessions for Bio-tech companies to produce, plant, grow and sell GMO products regardless if testing has proven them to be hazardous to the general public. Glyphosate: The active ingredient in most if not all insecticides. Legislation protects Western Corporations that are creating and exacerbating the global environmental crisis that is compromising the world’s ability to grow natural foods. Studies conducted indicate that within 20 years 30 major food groups along with the global Honey bee population will become extinct. Monsato has been charged, indicted and convicted for poisoning the water of 52 million Americans. Since GMO’s were introduced there has been a marked rise in various Diseases and disorders in the human populace. The consequences of Round-up or its active ingredient Glyphosate’s bio-chemistry is responsible for most of the conditions and diseases associated with the western diet that include Gi disorders, obesity, diabetes, heart disease, depression, autism, infertility, cancer, and Alzheimer. 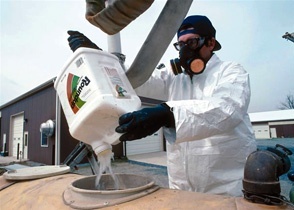 When Monsato first introduced the idea of Genetically Modified Foods their patent on the most popular herbicide Round-up was due to expire in 2000. In order to maintain a monopoly on the market they engineered Round-up resistant crops. 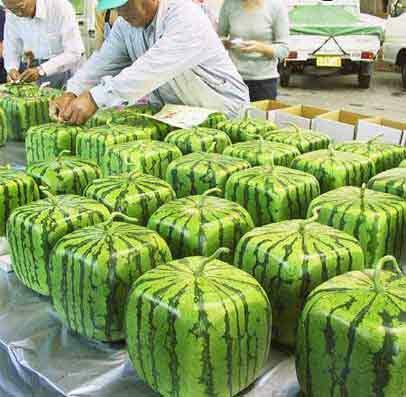 As the Genetically modified seeds spread through the market growers were forced to buy Monsanto’s specially augmented version of Round-up. The Misnomer that genetically modified foods were needed to feed the world was introduced by their public relations firm.The concept of introducing a completely new organism that reproduced itself outside the processes of evolution, proved so radical to Scientists that Monsato mobilized their product outside of normal protocols, largely through deceit. GM foods were released into the public arena long before the science was ready. Currently the technology does not exist to completely clean up the contaminated gene-pool. The genes already released by companies such as Monsanto and Syngenta have proven more resilient than Nuclear waste. The Genetically altered Corn produced has already contaminated the indigenous corn varieties in Mexico which is the source of genetic diversity in corn on Earth. Monsanto’s consultant Arthur Anderson in 1999 admitted their goal was to genetically reproduce 100% of seeds in the world and patent them, expanding into the modification of fish, insects, etc. eliminating 100 billion years of evolution and affecting Nature irreversibly. 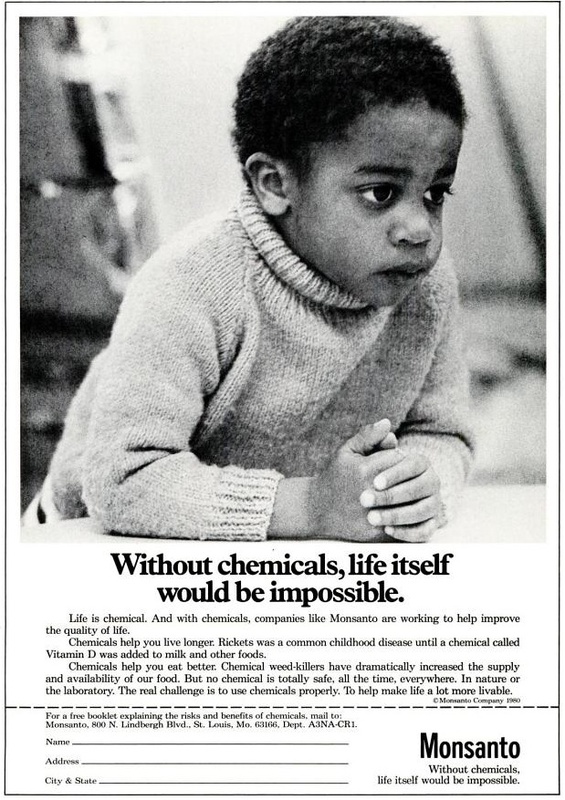 For example: Monsanto produce a Corn that comes with its own insecticide which was found to poke holes in human cells, end up in the human bloodstream, and into unborn fetus’: And while studying milk that had been treated with Bovine growth hormone there was found so much cancer producing hormones in the milk they refused to drink milk thereafter. According to the American Academy of Environmental Medicine there are so many health dangers associated to GM Foods, like gastro-intestinal problems, immune deficiency, accelerated aging, infertility and organ damage, that they recommend every doctor prescribe Non GMO diets because these problems were because of engineered feed. The Doctors who have taken this advice have reported a dramatic reduction in these ailments and disorders. As have Veterinarians and Farmers finding the same types of improvements in their livestock taken off GMO corn and Soy. Neonicotinoid (nicotine ) based insecticides are not genetically engineered per say however corn, engineered genetically has 5 times as much neonicotinoid as is naturally the case. New evidence to the extinction of the Bee population suggests Glyphosate: the active ingredient in Monsanto’s Round-up coupled with the BT toxin might be defecting the Bees’ immune system. The corporate driven Environmental Protection Agency in U.S Government has largely ignored the evidence where countries like Switzerland, Germany, Italy, Spain and Russia have put an all out ban on these products. As a result Food Companies are now scrambling to replace genetically modified ingredients with conventional alternatives. Contradictory to U.S. Policy on the grass roots level the demand for locally grown organic foods is gaining momentum. Food Executives are coming to the realisation that the supply of GMO’s will result in dramatic loss of sales, forcing them to become non-gmo product verified. With the greater demand for Non GMO foods Farmers are now being paid more for their organically grown products. i would like to quote some thing from your article, i am trying to cite it properly wit MLA format and i was wondering if it was possible if i can have the name of the person who wrote this? The writer of the article is David Cardona.